Section 7, Addendum 3b: Pitchforks must be at least 5 feet in length. If you're one of those skeptic types who likes to "wait" for games to be "reviewed" before picking them up, then it's likely that you were not privy to the pre-order bonus DLC for Assassin's Creed Unity. Well, as of a few days ago, you can consider yourself on level ground with those who pre-ordered due to the release of the "Secrets of the Revolution" pack. Previously only available to Season Pass holders and those aforementioned pre-order gamblers, the pack contains three brand new story missions: The Chemical Revolution, The American Prisoner, and Killed by Science. The last two missions sound like the titles of pulpy 1960s spy novels, which, come to think of it, would actually be perfect for the Assassin's Creed universe. Also part of the pack are eight new weapons ranging "from powerful rifles and pistols to razor-sharp axes and swords", along with six pieces of gear hot off the Parisian presses. I'm no expert in French Revolution armaments, but it seems like players should be closing in on "literally owning every murder weapon in Paris" status. 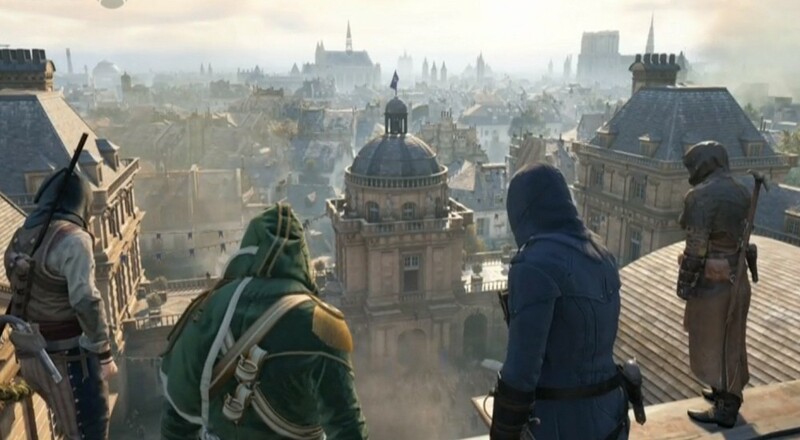 By this point, if your co-op buddies aren't gazing in awe as your version of Arno slices through dozens of petticoats and breastplates, you might as well consider the revolution a failure. 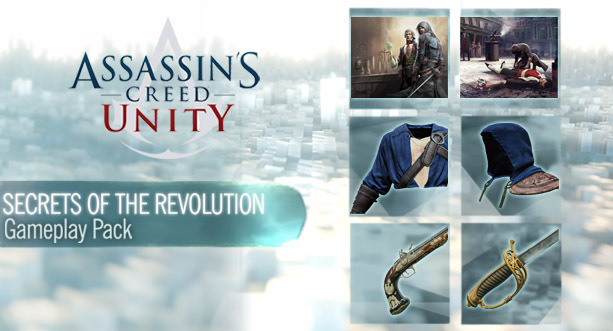 "Secrets of the Revolution" is currently available for all platforms for $6.99 and joins the "Dead Kings" DLC in Unity's current add-on catalog. Former Season Pass holders shouldn't forget that, while the program was discontinued, they still have until March 15th to snag a free game as Ubisoft's apology for a rough launch period. Page created in 0.2528 seconds.